Groups Split group into two groups of 3 plyrs. 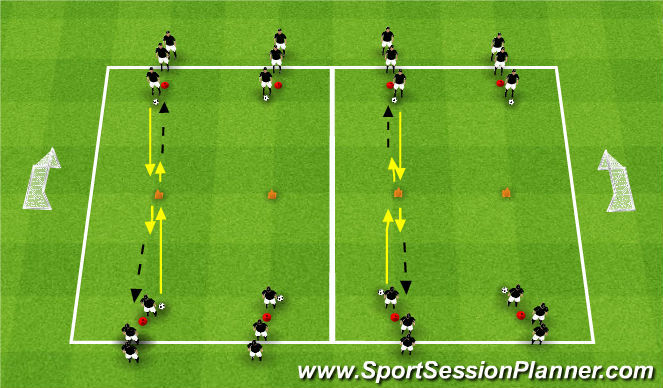 Dribble to big middle cone, turn back and pass to next player. 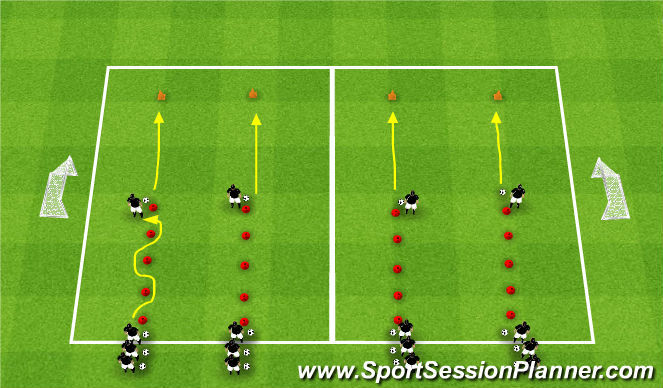 Both end players dribble at the middle cone and perform 1v1 move around cone. Younger players have a ball each and dribble to the end. Older players pass the ball to the next player. End players must look up and try to meet in the middle with good timing. Groups of 6-8 plyrs. 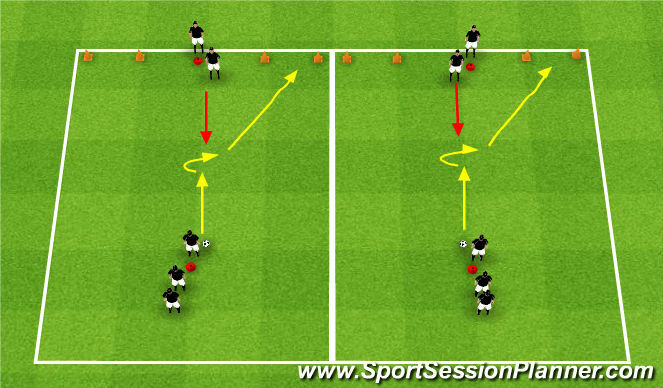 Players dribble vs defender and score by dribbling through either of two wider goals. Players switch positions after each turn. Who is the player with the most goals? 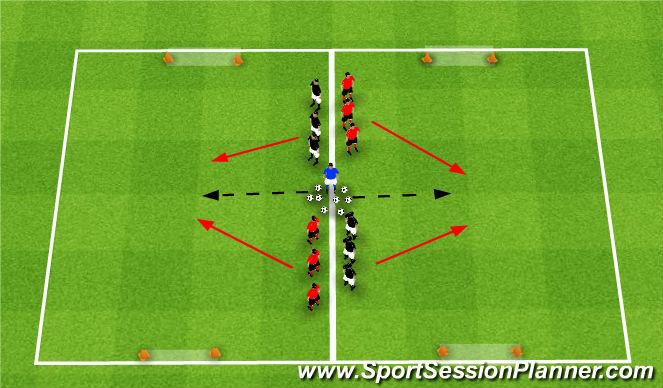 Split each group into two equal teams. Each player gets assigned a number. Players start along sideline by the coach. 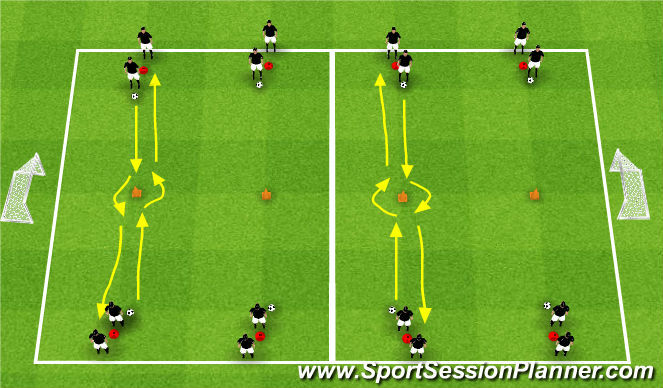 The coach starts the play by passing a ball out into the middle and calling a number. The number from each team run out to play and score in opposite goals. Now players can shoot through the goals. *Can progress to calling two numbers to make 2v2 or three numbers to make 3v3 games.